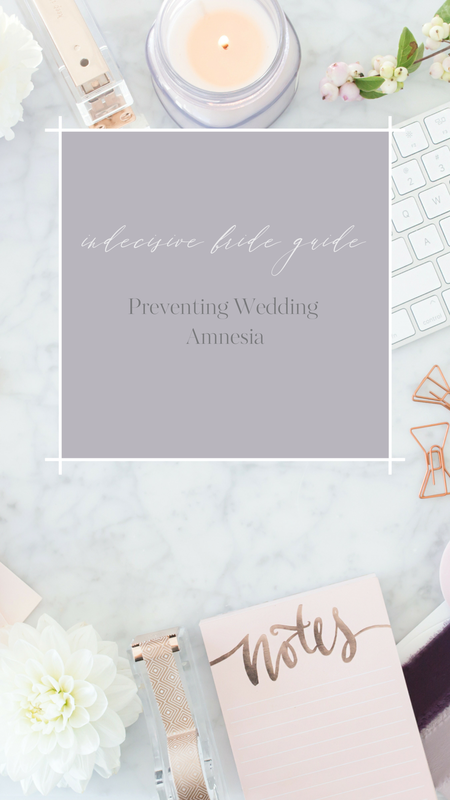 If there is one absolute on your wedding day, one fact you can be certain of – it’s that you will develop amnesia shortly after. Time will completely whiz by. One minute you’re sipping a mimosa with your bridal party, getting the royal beauty treatment and the next thing you know, it’s midnight and you’re floating around the dance floor in a wine-stained dress. As time passes, a blanket of fog rolls into your brain and all the intimate details begin to fade. Spend thirty minutes researching wedding videos online. The sound, the movement and the moments are captured in a way that still images just can’t compete with. Photography will always be a wonderful memento, but video can emulate those authentic, day-of feelings by catching all the action between the still shots. It’s the closest you can get to reliving it, and I’ve never met a couple who said it wasn’t worth the money. Put a reminder in your phone to jot down the details from all the wonderful occasions leading up to your wedding – the engagement, the shower, the bachelorette party, dress shopping, the rehearsal party, and then of course, the wedding day! Put pen to paper and describe everything, from how you felt at breakfast to conversations with guests and funny DJ requests. Cover the vows, the flowers, the speeches and the cake. You’ll be shocked how much you forget, and so pleased that you locked these memories in writing. What could be more romantic than a hand-written letter to your love post-nuptials? In this manifesto, define the spectrum of your feelings from the wedding day. Tell them how you felt as you walked down the aisle, how nervous you were for your speech, how excited you were for the first dance. Reiterate your vows and let your partner know how important those words are to you. Recount the ups and downs; every highlight and every imperfection. Finally, don’t over-think it! Just let your mind wander back in time and seize each little piece of your celebration.